Personalize your space to reflect your Okanagan lifestyle. With 3 cabinet lines to choose from, our staff will create for you a kitchen you delight in. 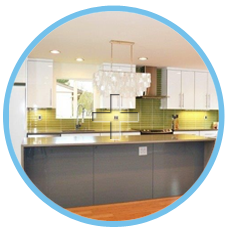 Whether you are a DIY and need Ready – To – Assemble cabinets, are creating your Dream Custom Kitchen or simply want to update your home kitchen with a fresh look; we have cabinets suitable for you. It’s not difficult, we can provide you with as much or as little help as you require. Our Kelowna Showroom in BC’s sunny Okanagan is filled with Beautiful, Practical options in Custom Window Coverings from Solar Shades and Exotic Woven Wood Blinds to specially designed Custom Drapery and Valances. 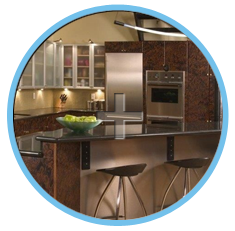 You will love our selection of gorgeous and affordable displays of All Wood, Ready – To – Assemble cabinets and our stunning Custom and Semi-Custom Kitchens. 2 GOLDS for Kitchens and a SILVER for a Master Bedroom Ensuite were won by Studio 5 Interiors in partnership with Shorestone Homes! 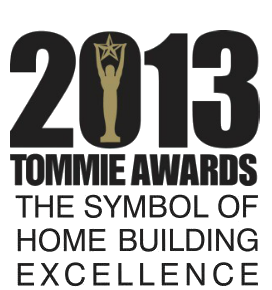 The Okanagan’s Canadian Home Builders Association celebrates and recognizes the industry’s achievements and service in delivering exceptional quality to home owners. With all submissions for judging conducted anonymously by non local experts, their choices for excellence are greatly valued. Book an appointment for a Free Consultation!